The Learning Exchange idea started with a small group of people chatting about the challenges men and women face when they come out of Pr*son back into community. 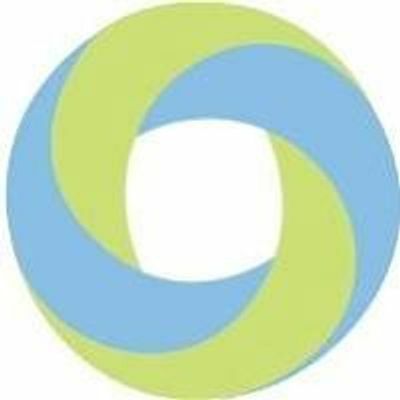 Knowing the challenges - finding housing and work, doing programs, reconnecting with family - how do we become more welcoming and create 'safe landings' for the transition? Faith-based groups can take the lead in this! 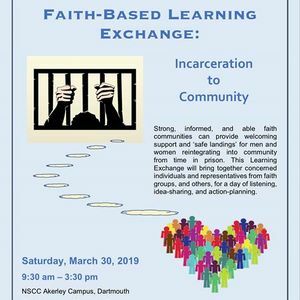 Come and hear of successes and challenges, talk with others from faith groups and community at large, and share ideas for supporting those moving from incarceration to community. Registration required (see below). No fee. Donations at event. Your interest in this topic? Registration is required by Monday, March 18. Space is limited to 80. Donations taken at the event. Any profits will go back into the Pr*son ministries. Pass the word! "Like" and "Share" this Event with your networks! Message us with any questions. 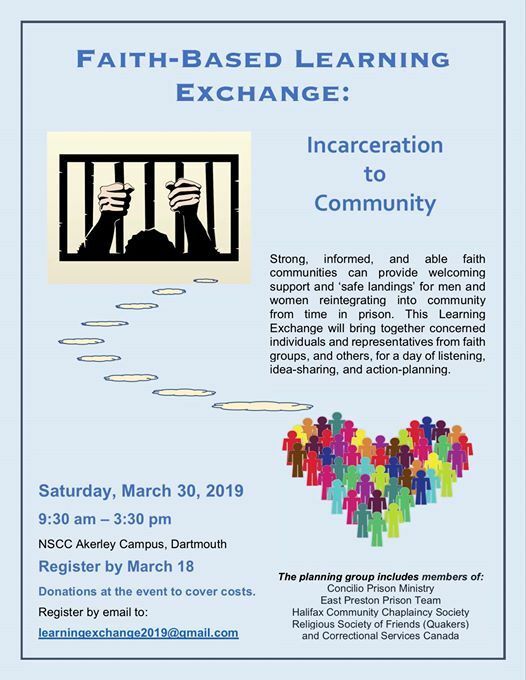 The planning group consists of members of: Concilio Pr*son Ministry, East Preston Pr*son Team, Religious Society of Friends (Quakers), Halifax Community Chaplaincy Society, and Correctional Services Canadas.